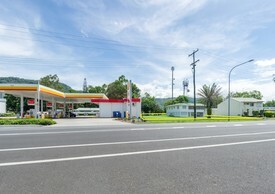 20 Commercial Real Estate and Properties in Cairns are listed in 8 categories. We have 24 Retail Shops for Sale , 21 Industrial Warehouses for Sale , 15 Development Lands for Sale , 6 Offices for Sale , 4 Hotels and Leisure for Sale and 2 Commercial Farms for Sale . Aviation Related Industries Innisfail Airport Contact agent Helen Cross.. This property comprises two sites with a total area of 1.313 hectares in a unique location adjoining the Innisfail Aerodrome, giving direct runway access. Buildings totalling 1,155 m2 onsite include aircraft hanger, residence, offices, chemical storage and underground fuel tank. There is full length floor waste and a three stage waste separator. Best use is aviation. Contact: Exclusive agent Helen Crossley Ray White Commercial Cairns for more information. 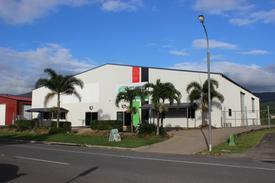 Located on 41 Hargreaves Street, Bentley Park, we offer this solid industrial warehouse for sale. Building area approximately 1,044 m2 divided into two tenancies and configured into predominately warehouse with showroom / offices of approximately 80 m2 located at the front of each tenancy. The warehouse is clear span with an internal clearance of approximately five to six metres. Roller door access, two along the side and one at the rear of the northern tenancy with two side roller doors in the southern tenancy. All are powered. 3 phase power is connected and there is chain wire fencing for additional security. Situated in a planned industrial estate with underground power, kerb and channelling and wide streets. All essential services are available close by including dining options, supermarket, postal, doctors, pharmacy, gymnasium and many others. On and off street site parking for staff and just nine kilometres south of Cairns CBD. The property is 50% leased to a stockfeed supplier at an annual rental of $48,000.00 per annum including GST. The tenant has occupied the building since 2013. The building has always experienced high occupancy since its construction in 2008. This is a unique industrial building that has been well maintained by its owners. Contact: Agent Scott Green Ray White Commercial Cairns for more information. Double Industrial Sheds $130,000 neg. Owner will sell both adjoining sheds as a package in this centrally located Industrial Complex in Mission Beach. One is fitted with Shower, WC and Sink. Total area under roof is 120m2. There is car parking and the are on a corner location in the "Mission Beach Trade Centre" which has 8 units in the complex. (Not available separately). For Sale - Warehouse With Great Views Of Trinity Inlet Contact agent Helen Cross.. Situated in a concrete tilt slab building, this premises offers everything your business needs. 217 m2 approximately of office area boasting 7 offices, boardroom, reception, an open work area, lunchroom with kitchen, male and female toilets plus an outdoor courtyard. Some of the offices and the boardroom have water views over Trinity Inlet. Behind the office area is a 144 m2 approximately warehouse with high, internal ceilings of over 6 metres with high roller access. This premises also has 5 car parking bays. Contact: Agent Helen Crossley Ray White Commercial Cairns for more information.